Born and raised in upstate New York, Brice discovered his love for horticulture as a young boy while working on a farm that had a glass greenhouse where orchids where grown. He found working with the plants and learning about them was much more fun than feeding the cows. He worked at North Haven Gardens in Dallas and Tawakoni Plant Farms in East Texas before coming to Shades of Green in 2000. 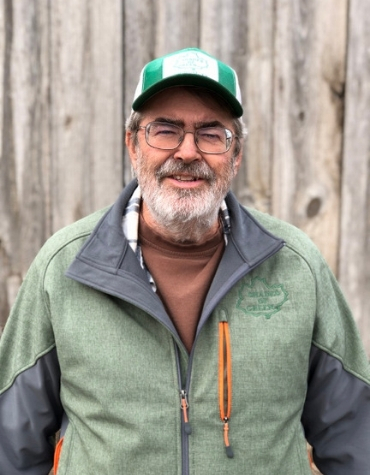 As Grower, Brice oversees all operations at the Shades of Green tree farm, called Brillo Verde, located in Collinsville, Texas. His love for native Texas perennials inspired him to begin propagating and cultivating them over a decade ago. These beautiful, heat and drought tolerant plants have become a Shades of Green hallmark. Under Brice’s care, Brillo Verde produces over 40,000 pesticide-free perennials of over 120 different species each year.